I can’t say I’ve ever seen a random-width herringbone floor before. But I can now. This is fantastic and must have been a nightmare to install. Designer Högni Stefan Thorgeirsson from Iceland has found a great use for old pallet lumber. Great upcycle of material that used to be used to start bonfires. 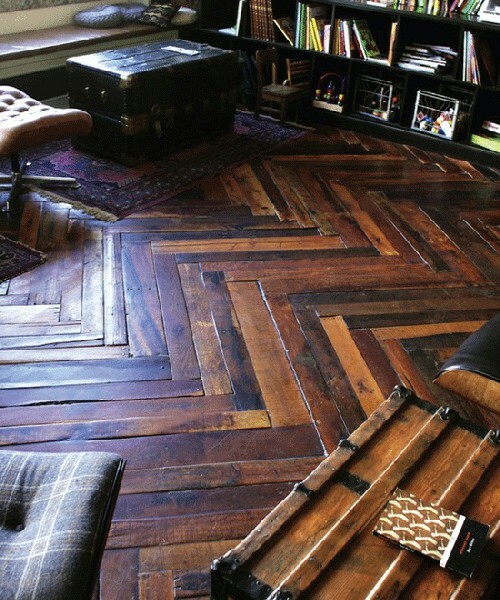 From Icelander Högni Stefan Thorgeirsson, these reclaimed pallet slats make a terrific reclaimed floor.